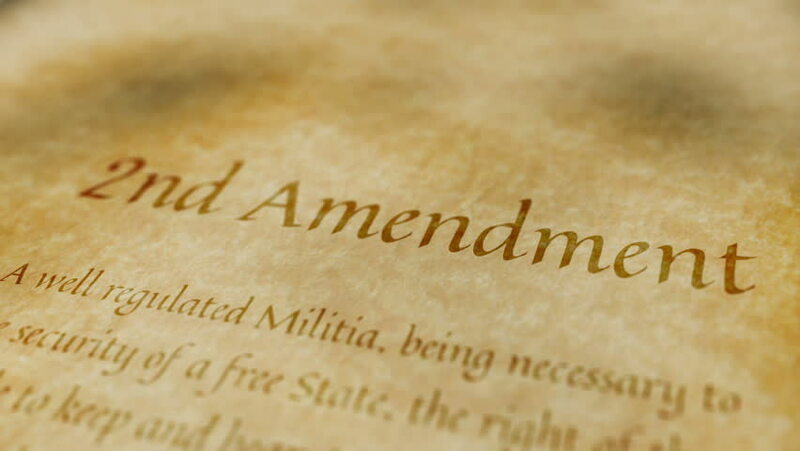 Scrolling text on an old paper background of the contents of the 2nd amendment to the United States Constitution that states the right of citizens to bear arms. hd00:08Scrolling text on an old paper background of the contents of the 26th amendment to the United States Constitution that guarantees every person 18 years of age and older the right to vote. hd00:08Scrolling text on an old paper background of the contents of the 4th amendment to the United States Constitution that protects citizens from unreasonable search and seizures. hd00:08Scrolling text on old paper background of the 15th amendment to the US Constitution that guarantees every person no matter their race, color or their previous condition of servitude the right to vote.